Sisulizer version 4 comes with support for new platforms like iOS, Android, FireMonkey, Delphi (incl. 64-Bit) and improved .NET support. It comes with many new features like the built-in Translation Memory Editor, true HTML preview, and dozens more useful improvements requested by our users. To make your update and upgrade easy we developed a new Update and Upgrade Calculator. All you need is an email address and your current Sisulizer license key. Don’t give translators access to your source code. With Sisulizer, you can provide your translation team with the information they need, without making them wade through complicated programming code, and without giving up control of your source code. Sisulizer opens the door to increased sales and profits by making it easy to translate your software into many languages. With Sisulizer, you and your translator work with a powerful, easy-to-use visual “what you see is what you get” editor. 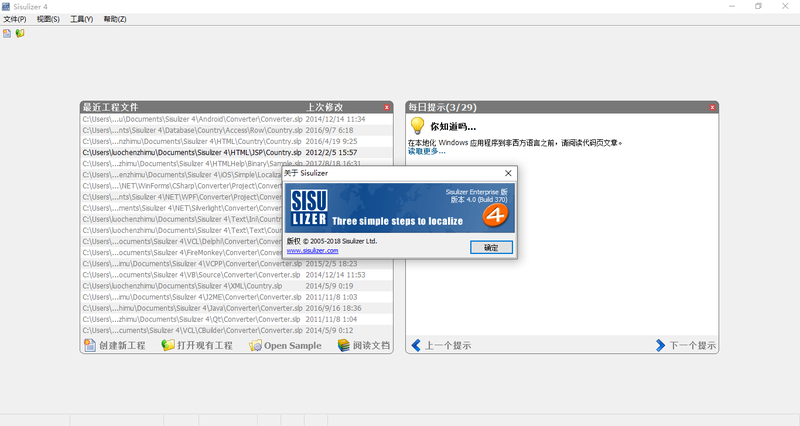 And, Sisulizer gives you complete controlover the process. Download the Sisulizer evaluation and try with your current project or try one of the many samples coming with the installation. Sisulizer will not change your source code. Download our Quick Start manual to learn how to start. Join our online forum and learn what others think about Sisulizer. Choose the right Sisulizer Edition for your needs. Read our blog for background information and more. Sisulizer can work directly with your C/C++, C#, C++ Builder 10 (New), Delphi 10 (New), FireMonkey, iOS (New), Visual C++, Visual Basic, Java, Windows binary files, HTML Help(.chm), XLIFF, or with .NET (incl. WPF). The software works visually with HTML, and XML. Sisulizer can also grab text from text files (e.g. txt, ini, and po), JSON files and databases (even more). You determine which Windows resources you want to localize, including icons, menus, dialog boxes, strings, accelerators, versions, and manifest resources. Sisulizer also operates in the mobile world. 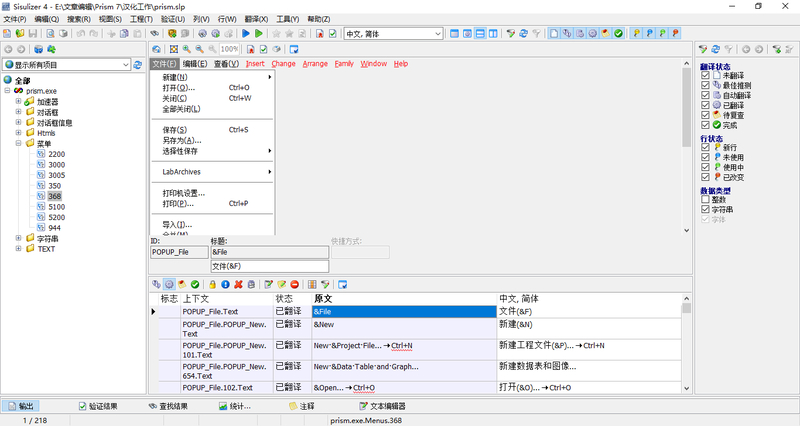 The software supports .NET Compact Framework, Android(New), Pocket PC, and J2ME. Use Sisulizer’s Exchange Wizard to create and send your translator a single file that contains a self-installing Sisulizer Free Edition, along with your project file. When your translator has completed the translation, they’ll run Exchange Wizard to create a single file that is sent back to you. New translate features in version 4: Use up to 4 GB project files on 64-bit Windows, localize Screen saver files (scr), NexusDB and TypeScript, Visual Basic WPF localization, import translations from SalesForce files or TBX, improved automatization, speed, and usability, and much more. Now that your translator has finished translating all of your strings, and you’ve received your updated file, simply run Sisulizer to build the new version of your program in the new language. It’s that easy! You’re in control throughout the project, and localization has never been simpler. Sisulizer easily handles all languages, including right-to-left and double-byte languages. And the program keeps track of what has already been translated, making it fast and inexpensive for you to translate later versions of your application.